18 August. 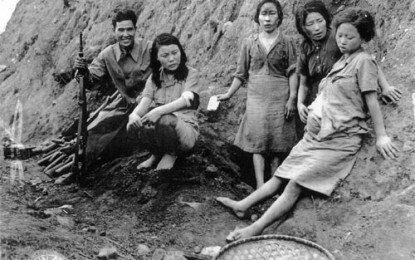 Concerned to protect the women of Japan from violation by incoming U.S. troops, secret plans are made in Tokyo to establish ‘comfort facilities’ for the occupation army. 22 August. Four days after receiving and mulling over a blunt rejection by President Truman of his suggestion that Soviet forces occupy northern Hokkaido and accept the surrender of Japanese troops there, Stalin signals his acquiescence and scraps his plans.